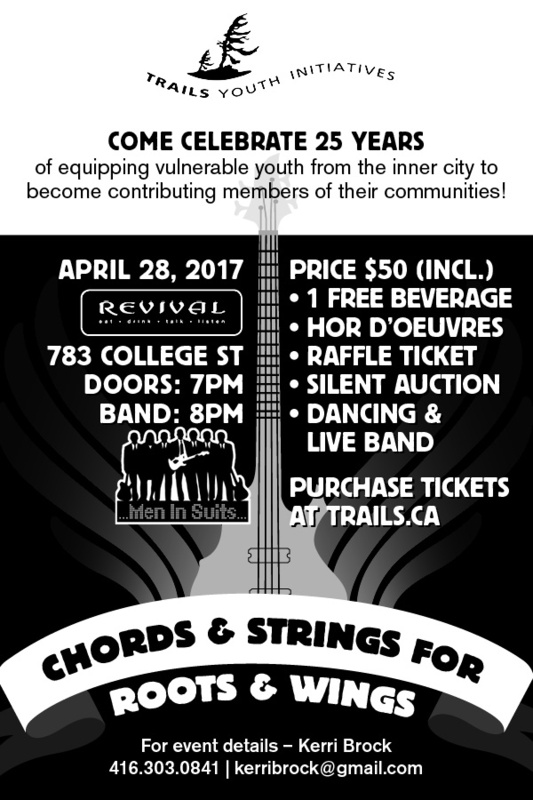 Check out Men In Suits at the Chords & Strings for Roots & Wings Trails 25th Anniversary Concert on Friday, April 28th. We’re thrilled to be supporting this fantastic organziation that challenges and equips vulnerable youth from the inner city to become contributing members of their communities. Help us making a lasting change in the lives of at-risk children and teens in Toronto.